Hey all, Matt here! I figured I'd share a bit of a personal/travel blog. This past August, we found ourselves with a rare weekend off. You need to understand that, as wedding photographers, a weekend off in August is a bit of a holy grail. It's typically one of our busiest months....a month that we rarely see friends or family, and spend most our days (aside from Saturdays, where we're shooting), with our faces illuminated by a computer screen. So special an occasion was this August weekend off, that a good friend of mine from New Zealand decided he better take the opportunity to come experience a Canadian summer, and hopped a plane for a visit. Having previously only experienced Canada in the winter, Larryn's impression up until now from travels through BC was similar to the clichés......snow and cold, fireplaces, igloos. Upon Larryn's arrival in our hometown of Sooke, I set about showing him everything that makes this area so beautiful. Larryn is a talented photographer himself, specializing in astro photography and landscapes, so we set out to capture as much of the beauty of the places we visited as we could! It was also fortuitous that the Total Eclipse happened to fall during his visit (totally unplanned), so we decided to travel down to the "Zone of Totality" in Oregon to experience it firsthand. Pretty amazing! Definitely have it in the calendar for next time. Below are a selection of my photos from the trip. For the photo geeks out there, these photos are a mix of shots from a Nikon D750, Canon M3, Mavic Pro Drone, and of course the trusty ol' iPhone. Sheringham Point Lighthouse, just outside Sooke in Shirley. Shortly after capturing the first photo of the Lighthouse, the fog came rolling in fast and heavy. They sure don't call it "Fogust" for nothing! 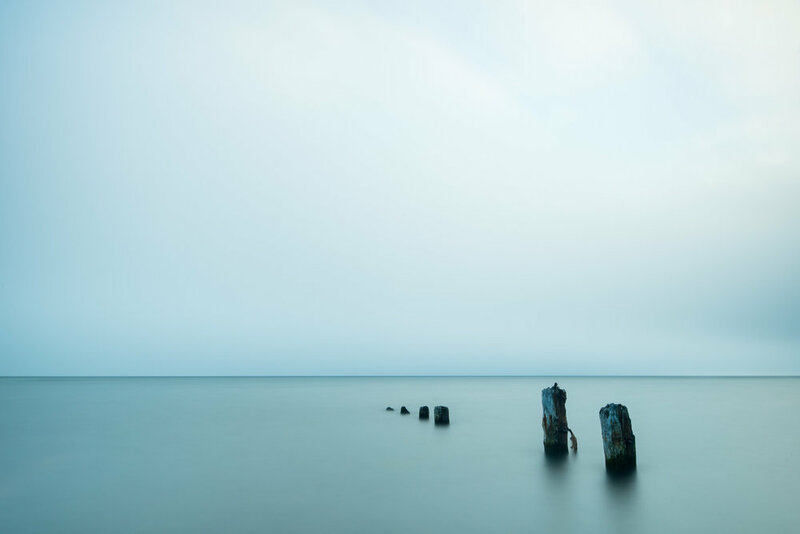 After the fog came in we left Sheringham Point and headed to Jordan River where we photographed this row of pilings. The fog on the horizon actually made for a great backdrop, creating an "infinity" effect where typically you can see the Olympic Peninsula in Washington. 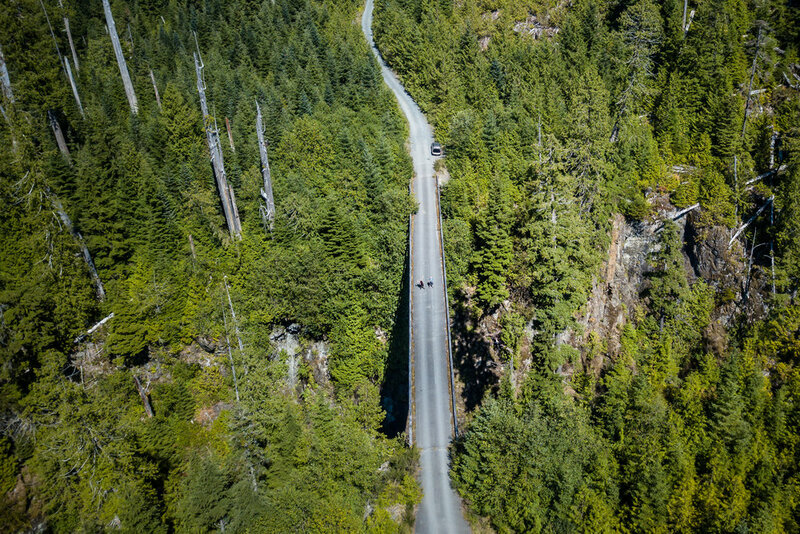 Travelling further up the coast to just outside Port Renfrew, where we had to get a shot using the drone of this bridge across a giant river valley. Hard to tell the perspective, but it's probably 100 feet down to the water below the bridge! That's us standing in the middle. 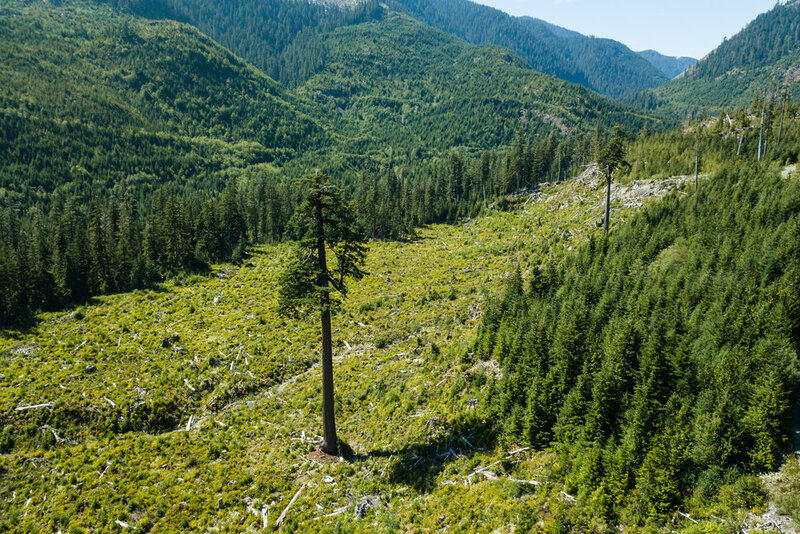 This is a giant Douglas Fir tree known as "Big Lonely Doug". It's a bit of a 4x4 to get to, but well worth the trip! We've taken almost every visitor we've hosted up to this location. Doug was used as an anchor point to haul in other trees that were logged from this clearing, then for whatever reason he was left standing, the lone tree in the field. For additional size perspective, check out THIS SHOT from a previous trip, with Sayde standing at the bottom of the tree! Botanical Beach near Port Renfrew. We had a GORGEOUS sunset on the evening we were down here, but unfortunately we weren't able to capture at its most ideal moment, because a BEAR wandered onto the scene! Still though.....this island makes an awesome subject. (This shot by Larryn, I am pictured in it). The bear we encountered crossed behind me on the beach, and showed a keen interest in our bags of photography gear. Larryn, being from the land of NO natural predators, was particularly fascinated by the encounter. So much so, that it actually made him a bit of a celebrity down in New Zealand. Read more about that here. Headed down the Oregon Coast, one of our first stops was Cape Kiwanda. Always dramatic, always beautiful. Larryn walking with Haystack Rock in the background. This was a little lookout we found as we were driving the coastline. A pretty amazing perspective of the Netarts Bay peninsula. Finding a clear spot to photograph the eclipse was a bit of a challenge! When we woke up in the morning near Depoe Bay, OR, there was a heavy fog sitting over the water. We ended up driving a fair ways inland and stopping in a random little pull-out on the side of the road where the fog was cleared. We of course didn't plan well enough to find any eclipse glasses, so we were VERY fortunate that other people stopped in the same location had spares for us! 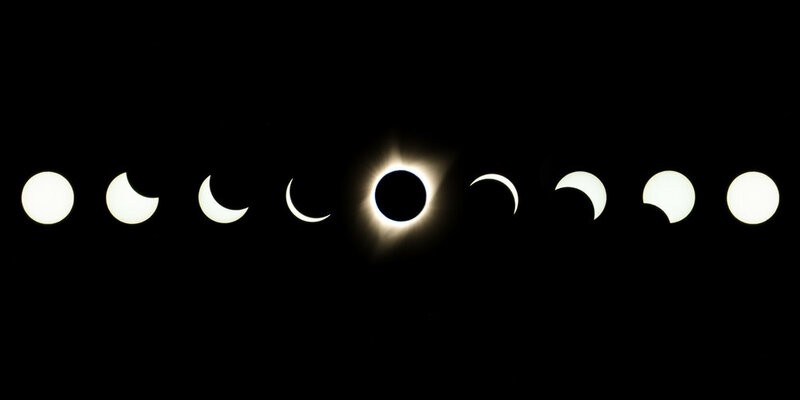 The eclipse itself was such a unique experience in the Zone of Totality, and so hard to describe in a way that really portrays it. The day literally turned to night, the temperature dropped significantly....crickets started chirping, birds went silent. It was eerie and awesome all at the same time. I captured this series of the moon crossing the sun. I also thought this shot of the sun just emerging (called the "diamond ring" effect) was pretty cool. After the eclipse we travelled back up the coast, stopping at Cape Meares. We were back into the heavy fog here, and it was SUPER windy! The pathway down to the lookouts. Foggy water out from the coast at Cape Meares. Cannon Beach has special meaning to Sayde and I, so I was excited to get back there to shoot more photos again! Larryn and I spent the afternoon/evening at the beach, capturing a beautiful sunset, and getting the opportunity to do some drone flights. Larryn getting a snap shot close to sunset at Cannon Beach. Setting up a shot. You can see the fog still sitting on the horizon behind Larryn. One of my shots of sunset as the sun disappears behind the smaller rock at Cannon Beach. A neat portrait of Larryn standing in the water after sunset with the moon above him, getting his angle at Cannon Beach. 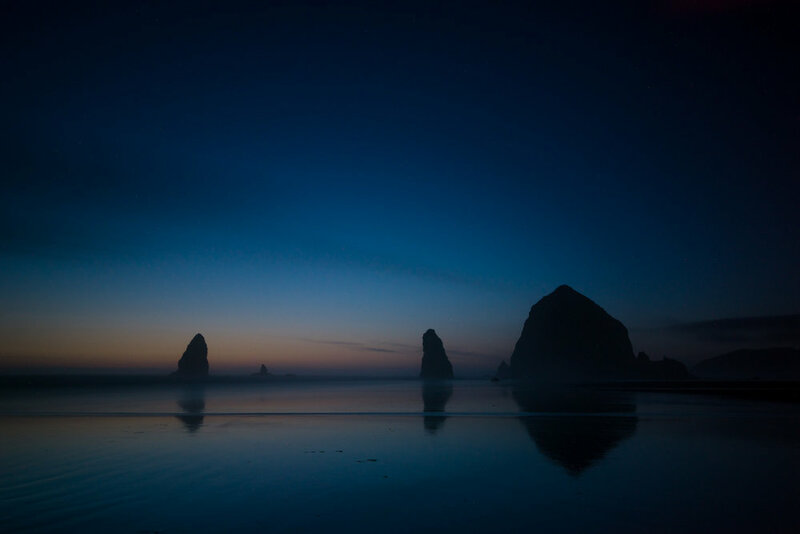 A long exposure post-sunset of the rocks at Cannon Beach. Campfires on the beach with the giant rock formations looming in the background. With Larryn being an expert astro photographer, I had to try my hand at a couple shots. I'm sure his night photos from the beach will be much more impressive, but I'm pretty happy with these as a first attempt. 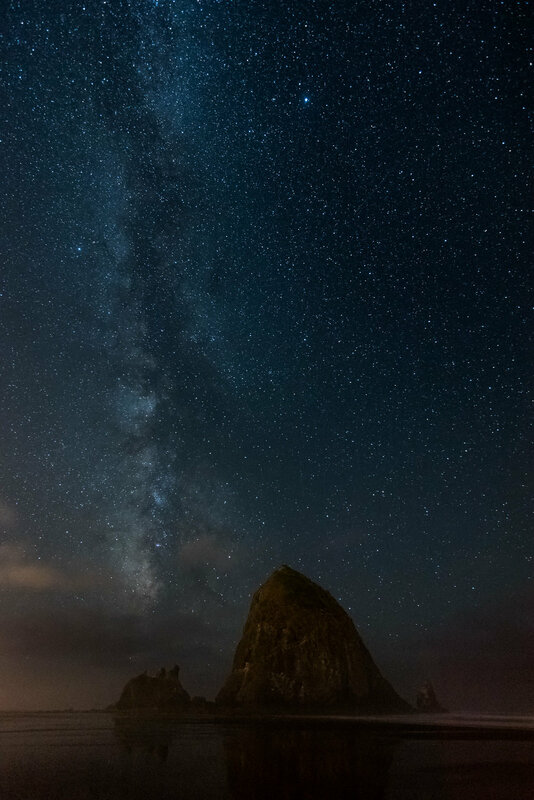 A second shot of the Milky Way at Cannon Beach. We headed further up the coast, stopping in to see this shipwreck at Fort Stevens State Park at the very Northern tip of Oregon, near Astoria. What this picture doesn't reveal is that the beach was packed with people all over the place, and we got pounded by waves to get the shots! We were regularly diving to save our gear from getting knocked down by waves. 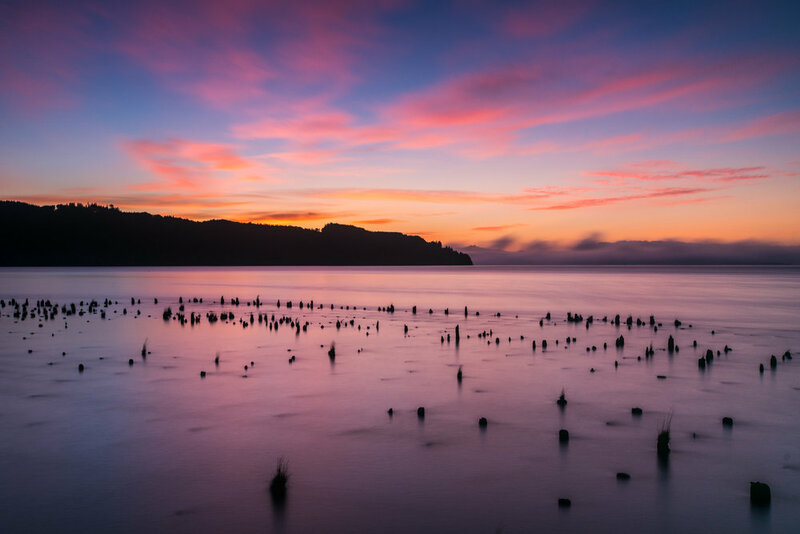 After Fort Stevens, we headed just across the giant Astoria bridge (which is also really cool....sorry no photo taken), and camped out beside a really awesome spot we had scouted out on the way down, hoping to capture a dramatic sunrise. We were not let down! I only wish the tide was a little lower as these pilings in the water were quite a bit more visible when we saw them on the way down. Still though....that sunrise! A second shot from the same sunrise. Capturing this was almost worth the no sleep. The roadside camping location we chose was silent when we rolled into it around 1am, but what we didn't realize was that around 4am it turns into a busy trucking route, and it sounded like semi trucks were driving RIGHT THROUGH our tent. Not much sleep that night.. 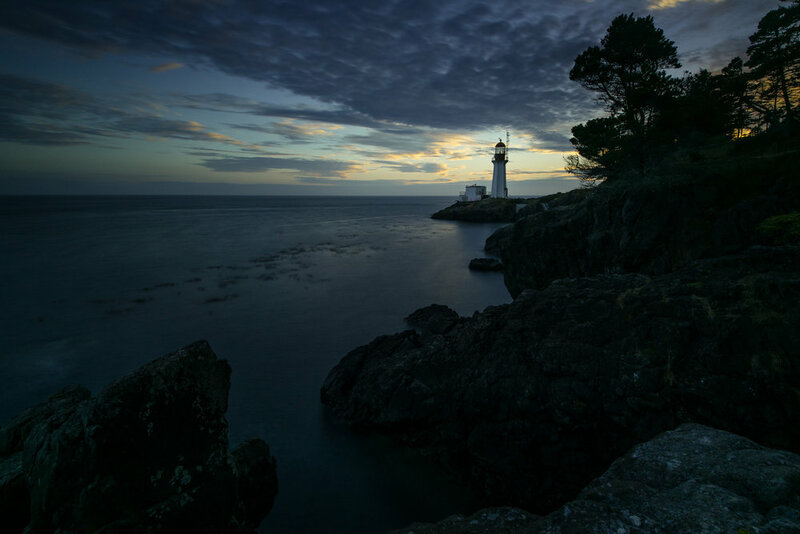 Following the trip to Oregon, we headed back to Sheringham Point for Larryn to shoot a timelapse of the night sky with the lighthouse. I captured this portrait of him shortly after sunset. I also took the opportunity to shoot some drone footage of the areas we visited. I'm far from an expert video editor (or drone pilot, at this point), but check out the video below for a taste! All in all it was a pretty awesome trip, and I was glad for the opportunity to take a short rare summer trip during our busy part of the year! Showing an international friend around also gives you some fresh perspective on places you've been before, and I definitely learned a few things about photography from him as well! I look forward to trying some more astro photography in the future. Please make sure to check out Larryn's work as well, and for more of our landscape work, check out our gallery here! More Landscape art, available as prints!